Rap star Kanye West is to visit the White House on Thursday where he will meet with President Donald Trump and Jared Kushner, White House press secretary, Sarah Sanders said. Add Kanye West as an interest to stay up to date on the latest Kanye West news, video, and analysis from ABC News. 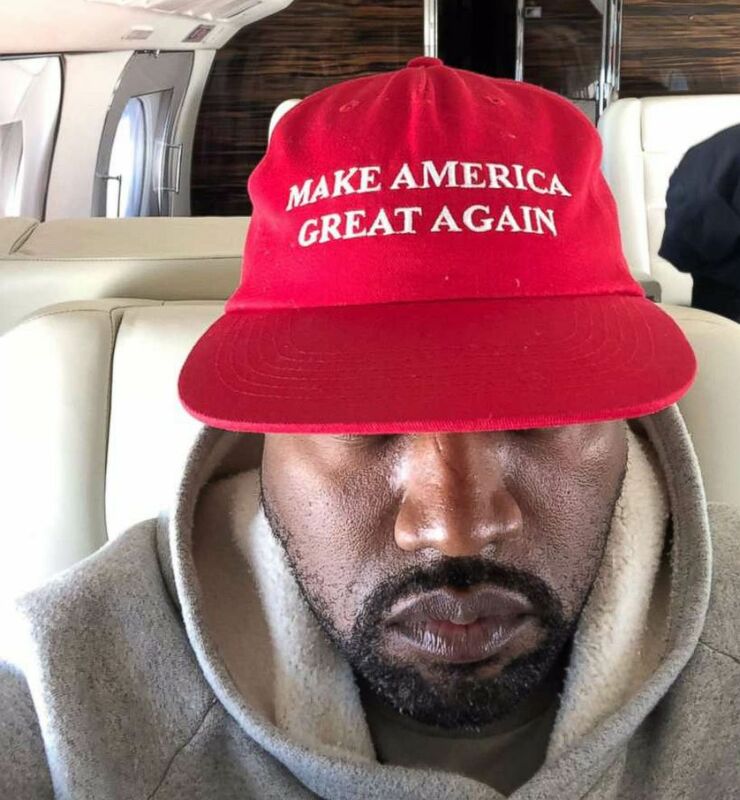 Kanye West posted this photo of himself wearing a hat saying "Make America Great Again" to his Twitter account, Sept. 30, 2018. It’s unclear whether the White House will open West’s visit to the press. During the presidential transition, Trump memorably brought West in front of cameras in the Trump Tower lobby for an impromptu gaggle with reporters. West has faced backlash in recent months after announcing his full-throated support of the president, including in a recent "Saturday Night Live" appearance in which he said cast members "bullied" him. "They bullied me backstage. They said, ‘Don’t go out there with that hat on,’" West said of his red 'Make America Great Again' cap. "They bullied me backstage. They bullied me. And then they say I’m in a sunken place." The president soon after tweeted his support of West. 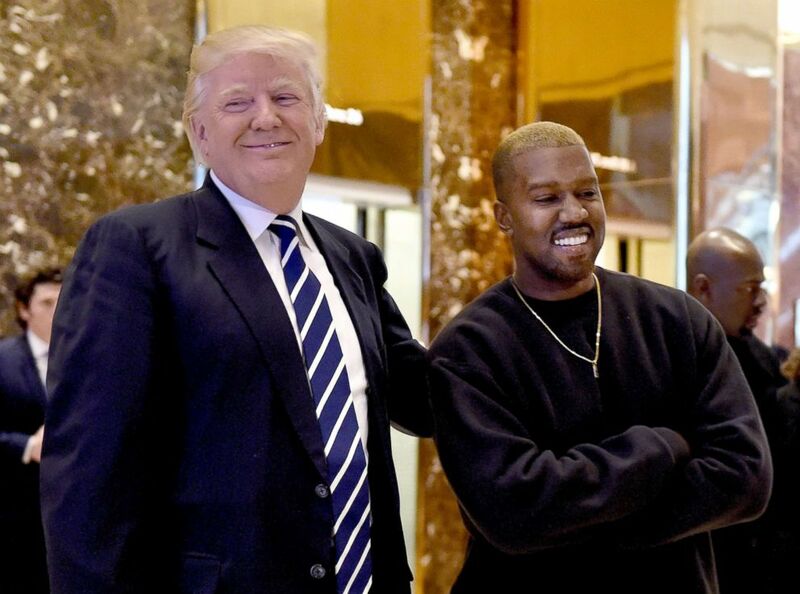 Kanye West and then-President-elect Donald Trump speak with the press after their meetings at Trump Tower, Dec. 13, 2016 in New York. The timing of the White House visit is notable, coming just days after pop singer Taylor Swift broke her long silence on politics and announced her support of Democratic candidates in Tennessee’s Senate and congressional races. West’s wife, Kim Kardashian West, has visited the Trump White House twice since her husband announced his backing of the president. She went for meetings related to her goal of securing clemency for individuals facing life sentences from nonviolent drug crimes. The president has repeatedly touted West's support as evidence that his political message is resonating with the black community writ large, including at a recent political rally in Topeka, Kansas. "It's habit because for a hundred years, African-Americans have gone with Democrats but now they're changing and they're changing fast and they're coming. Thank you, Kanye West," Trump said. It's that very messaging which has generated significant criticism against West by some of his fellow entertainers, including rapper T.I. and singer Janelle Monae. West deleted both his Twitter and Instagram accounts on Saturday following a flood of criticism over his 'SNL' appearance and a tweet afterwards where he called for the 13th amendment, which outlawed slavery in the U.S., to be abolished.